GRANDE NOVITA' - Asian Studies Group ha ufficializzato l'offerta di preparazione al superamento degli esami HSK per la lingua cinese e JLPT per la lingua giapponese avviando un calendario di attività strutturate sulle proprie sedi. Partiamo da subito con Milano dove i corsi di preparazione all'A1 e A2 dell'HSK inizieranno in doppia sessione la settimana del 4 marzo e dell'8 aprile 2013. Il programma prevede 2/3 appuntamenti la settimana con staff madrelingua e docenti italiani preparati nel fornire la preparazione adeguata al superamento dell'esame. Il tutto è presentato in 20 ore di didattica intensive. 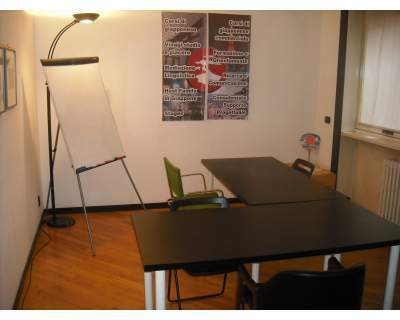 A two-week holiday spent refining English skills as well as learning Oriental languages: fully comprehensive for a total cost of less than 1000 euros! EEC English Language Centre, an institution with several years of teaching English behind it, has decided to create an innovative opportunity – to allow students who taking regular courses in Japanese and Chinese in Italy to take part in language labs catering for these languages. The goal is to further enhance what students have already learnt and to provide a supplementary point of contact with these languages with a twist. 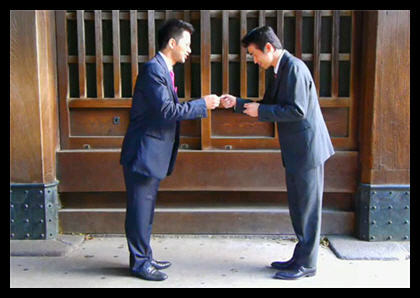 This program is being made possible through a direct collaboration between EEC and The Maltese Centre for Asian Studies, a non-profit study group branching out from the Italian institution Asian Studies Group, which has already been involved with the island’s formative centres on an institutional and cultural basis for considerable time. 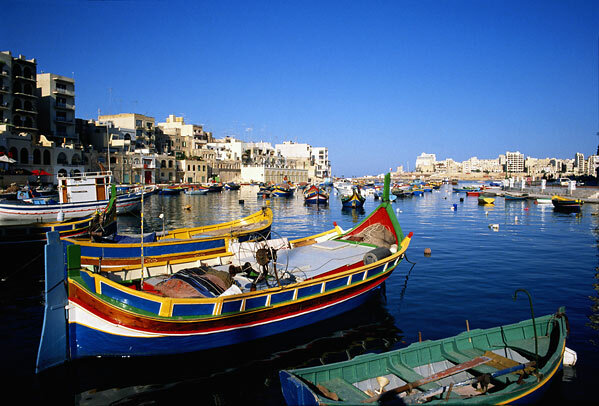 Asian Studies Group Malta: The New Center for Oriental Studies in Malta. After 6 years activity in Italy, our Association is glad to inform our members about a new important start of our organization in Malta. 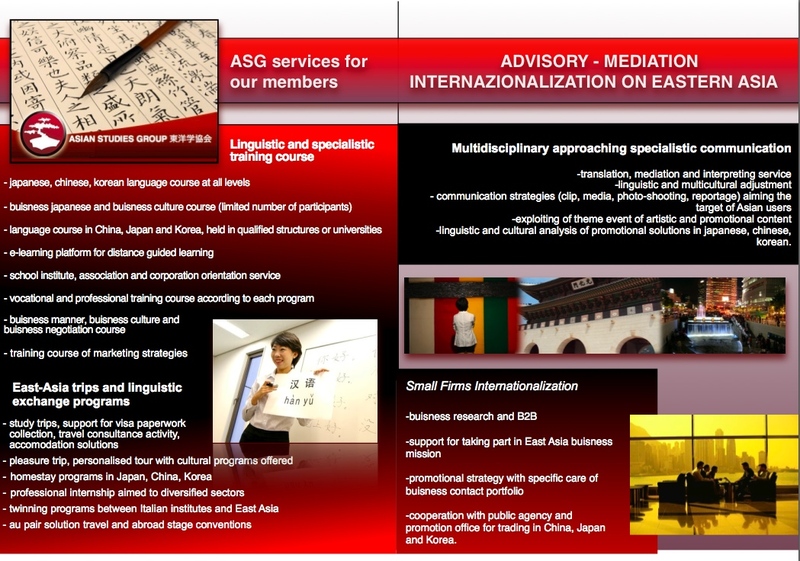 As part of Asian Studies Group Italy (with hq in Milan and branches / promotional desks in Rome for Lazio area, Lucca for Tuscany and Padova for Veneto Region), ASG Malta will introduce regular services for local members and in particular it'll offer didactic and cross cultural services about japanese and chinese languages and cultures. Asian Studies Group is pleased to offer, on the island, several didactic labs and training's opportunities for students and professionals and on doing so it'll involve directly collaborators and volunteers among local members. 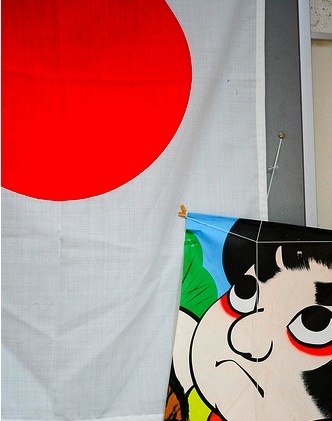 Asian Studies Group is an Association for Social Development and Support. Its particular nature has made it possible to develop a strong network between specialists in business communication, economy, law and business willing to internationlise their activity. 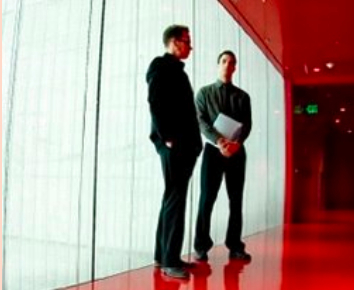 HOW TO START TO INTRODUCE YOUR BUSINESS IN EAST ASIA? ASG is promoting for our members a "special business service product" focused on concrete advisory, concrete consultancy for b2b program's arrangement and business mediation / negotiation's activity managed directly between companies involved on the same commercial field. 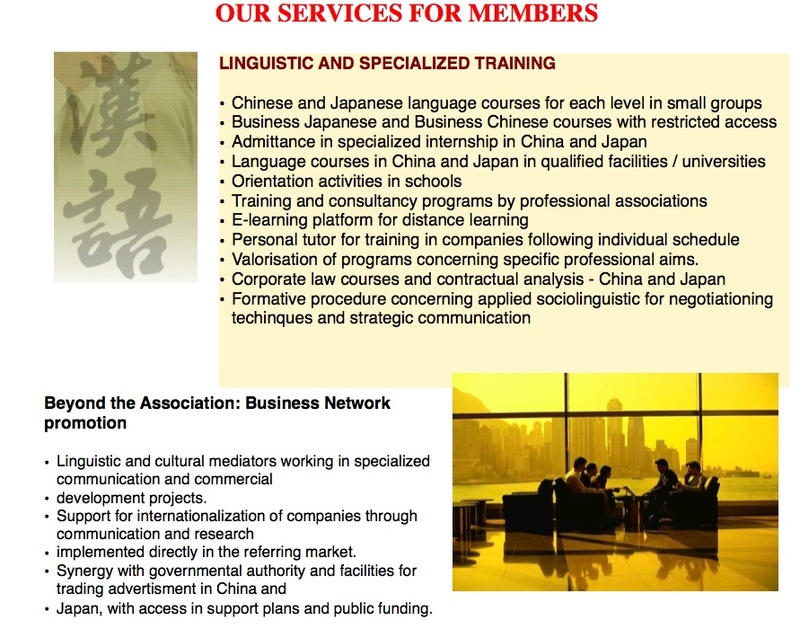 Asian Studies Group is Association for Social Development and Support focused on research, business mediation, linguistic training, internazionalization of corporates and projects, and advisory for european professionals and companies involved on Eastern Asia and viceversa. R&D on projects, Negotiation Techniques, Management Styles, Business Systems on reference area.